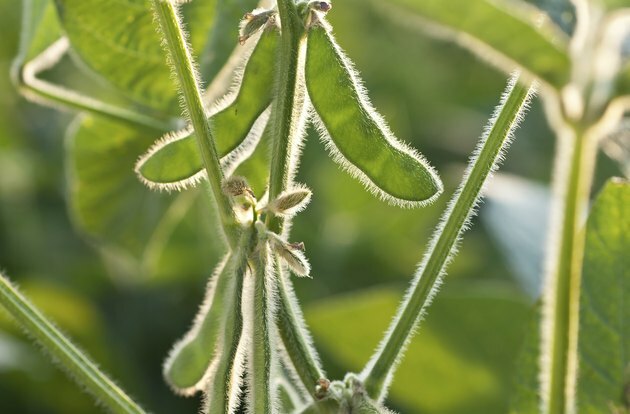 Soy milk is derived from the soybean plant. Because it is plant based, it doesn’t contain lactose. This makes it an effective alternative for vegans or people who are lactose intolerant. Additionally, soy beans and soy milk are significant sources of protein, which is a much-needed nutrient for good health, particularly for the hair and skin. According to "Marie Claire" magazine, protein is an essential element for strengthening the hair shaft. 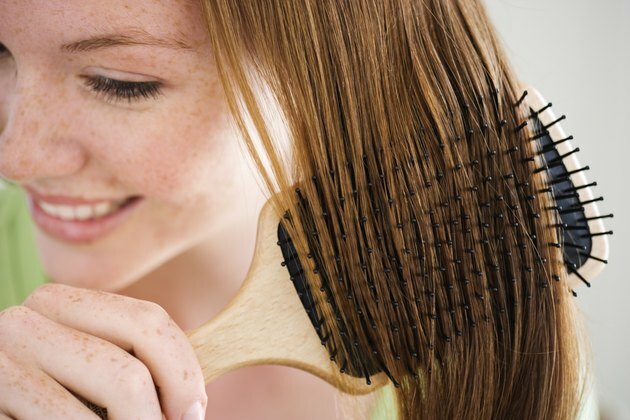 When you use products that contain protein, the product binds itself to the hair strands, forming a protective layer. This guards the hair during styling, reducing the likelihood that it will shed or break. 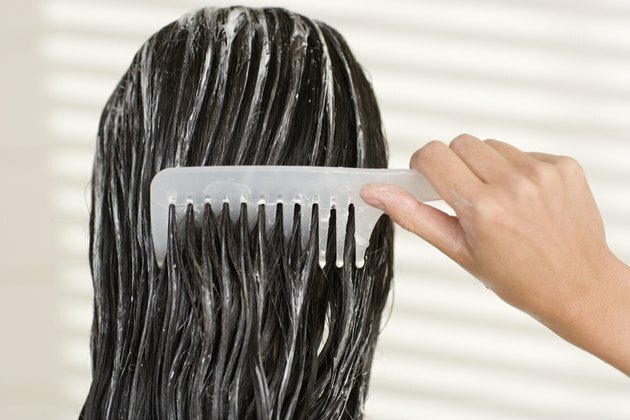 Hair products are helpful tools to treat hair from the outside in. Consuming beneficial sources of protein like soy milk provides internal support to help hair grow out healthier and stronger. In addition to acting as a source of prevention, protein also repairs split ends if your hair has been previously damaged. "Marie Claire" indicates that using a protein-rich conditioner on the ends of your hair causes split ends to converge and repair themselves. Similarly, consuming protein-rich foods provides your body with protein, which helps to repair muscle and skin tissue when it is damaged. If you have severe split ends, your hair stylist will likely suggest that you have them trimmed and that you increase your intake of proteins like soy milk for continued repair. Marie Claire: Is Your Hair Aging You? Can Certain Drinks Increase Hair Growth?